Can product videos improve sales? Yes, definitely. They can improve sales and attract larger audience to your products. Are videos widely used by retailers? No, not really. How come? Why is it a no-brainer to most e-commerce owners? It is difficult to give a definite answer. Perhaps, product videos are disregarded due to some “common agreement” that they do not work and it is better to give a shot to “ole good techniques”. Perhaps they are just time-consuming and require a lot of efforts and money so there is no sense to use them. 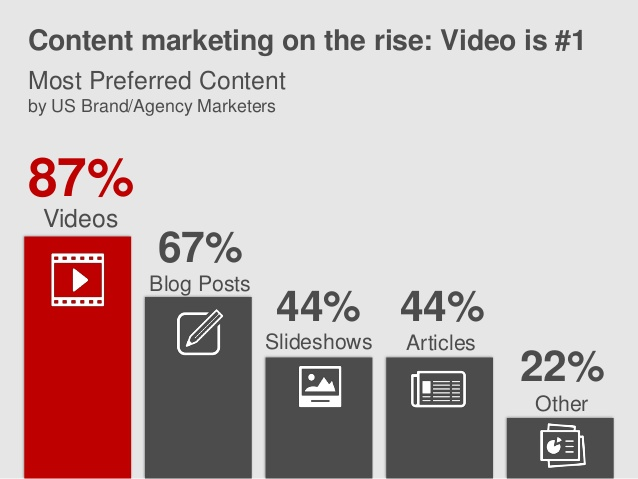 No matter what answer you choose the fact remains: product videos are not in much demand. Nevertheless, today I will try to review benefits various types of videos may bring to e-commerce. Brand videos provide a huge potential for introducing novelties. They help customers to get acquainted with new features of the product and get the very first impression and they really matter. Shopping online has one drawback: you are not in direct contact with an item you are going to buy. There might be many high-resolution photos and tons of positive reviews. However, it may not be enough for customers. Nevertheless, product review video is still a bottom line for most customers. I mean numerous unboxing and review videos. Watching other users forming their opinion about a product can be the deciding reason to buy it. So demonstrating user experience may help you to increase sales. What type of info you are most likely to share with your friends? Something interesting and hilarious for sure, though I doubt you are fond of sharing long text articles. Statistically images and videos are more popular in social media. People are just more inclined to click on video link than some article with no visual or multimedia element. In addition, videos activate shopper’s imagination: they watch how the item works in real life situation and feel more confident of the purchase, they have a better idea of what they are buying. Google prioritizes sites with video in its results so it makes sense to add videos and optimize them to have a better chance of higher ranking. In addition, videos attract more traffic to your website. The average Internet user spends 88% more time on a website with video. There is no universal receipt for e-commerce success: it is a sum of numerous factors and conditions. Be flexible and don’t be afraid to experiment with new ideas, keep up with trends and find the optimal strategies for the use of video techniques.